On Thursday, November 1st, five ADHD experts will be coming together for a panel discussion at the SSW in Rm B780 in honor of ADHD Awareness month from 12:00 – 1:00 pm. Immediately following the panel, UM Students and Community members are invited to participate in a student-led dialogue for an opportunity of reflection and connection that will be held from 1:00 – 2:00 pm in the same location. Participants will also have the opportunity to speak with the panelists one-on-one after the panel discussion. 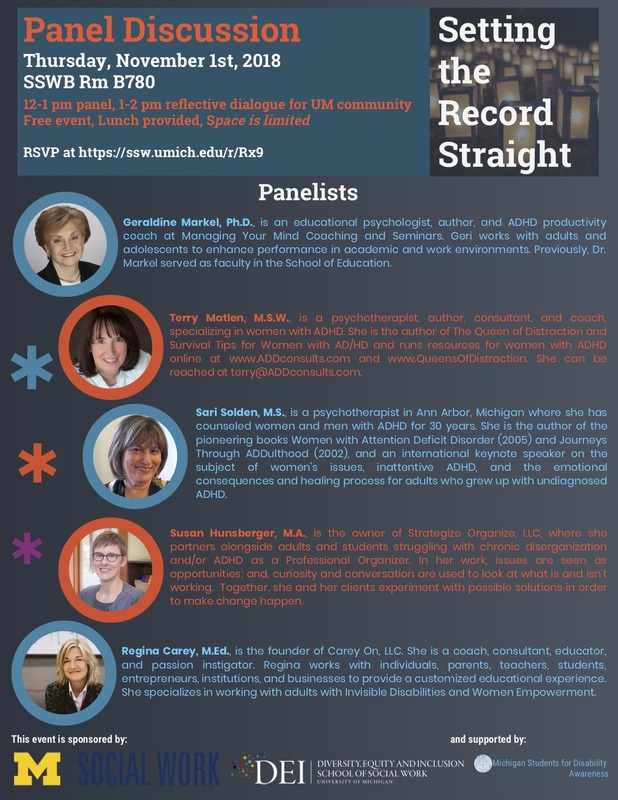 Come join us in celebrating ADHD Awareness as our panel of experts set the record straight! !